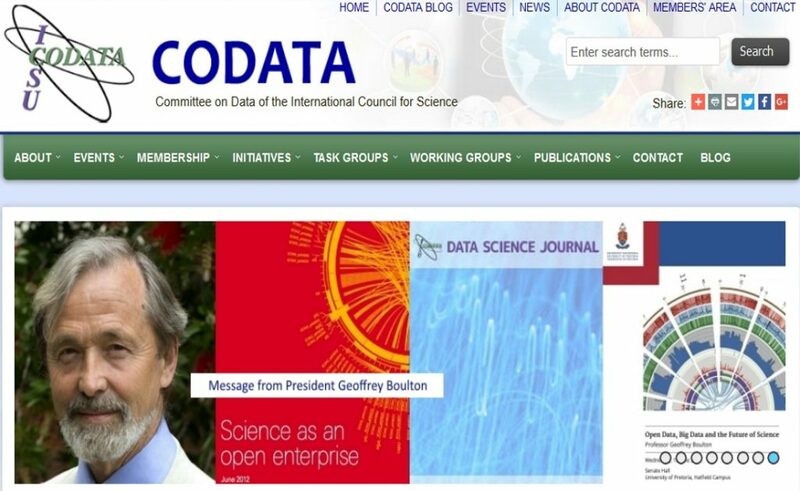 In 2015, I have been in charge of the Web Edition and Community Management of the Committee on Data of the International Council for Science (CODATA). I have renovated the website and updated its content. I have also published stories on CODATA activities through its social media: Facebook and Twitter. It is worth to mention that 22 National Academies of Science are members of the CODATA organization. The International Council for Science (ICSU) merged in July 2018 with the International Social Science Council (ISSC) to form the International Science Council (ISC).